Tam Makers is a community of makers, teachers and students in Marin County. To meet some of our community members online, view our photo album . Better yet, come visit us during our free monthly meetups — and subscribe to our email updates . For a quick overview of what our community accomplished last year, take a look at our Year In Review 2018. Geo has been making and tinkering with things all his life. 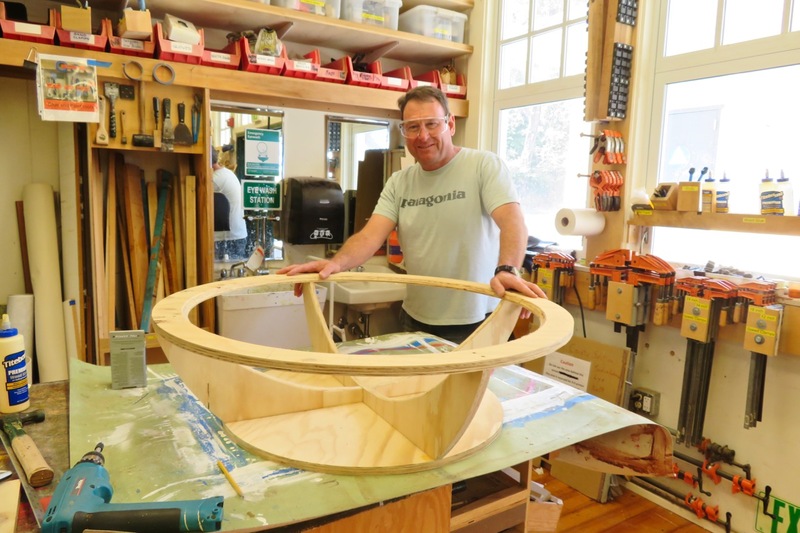 He teaches woodworking, architectural design, engineering design, and mathematics to teenagers at Tamalpais High School. He also runs an adult woodworking program at the Tam High through TUHSD Community Education. He is transforming the school’s wonderful woodshop into a maker space, to share his love of making with teenagers and adults. Geo teaches a variety of classes for adults and teens at Tam Makers. He leads our weekly Maker Club workshops. Learn more about Geo at geomonley.com . Fabrice is a multimedia innovator who creates unique experiences to inform and engage communities through art, media and technology. He has led the development of many pioneering products in education, news and entertainment, working with innovators such as Apple, Macromedia and Wikipedia. He is a founder and a lead designer at Pataphysical Studios, an art collective where he created many interactive art pieces, some of them built in our makerspace. Fabrice teaches Arduino and Maker Art classes at Tam Makers. 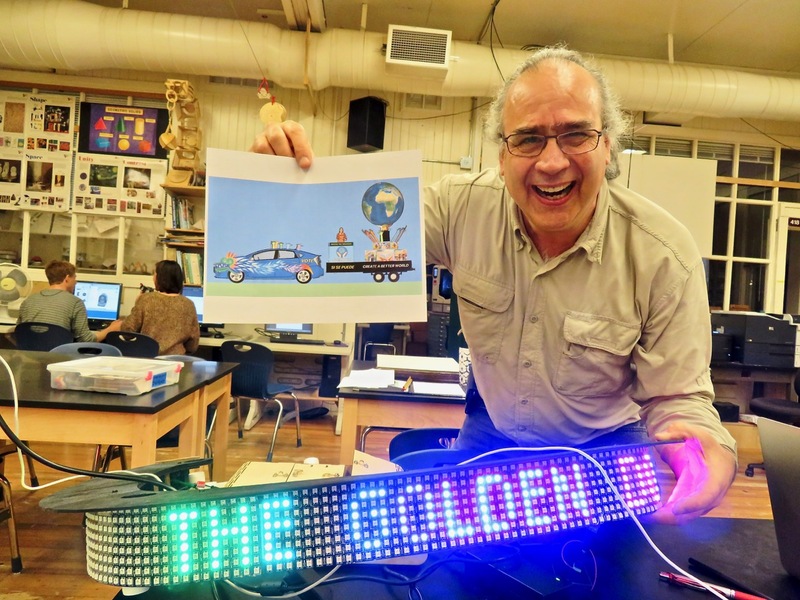 He spearheaded our Art Float community art project and is a regular at our weekly Maker Club. Learn more about Fabrice at fabriceflorin.com . Here are some of our teachers and team members at Tam Makers. Chelsea is an active member and teacher at Tam Makers. Originally from New York, Chelsea learned to love laser cutting at the SUNY College of Environmental Science and Forestry at Syracuse University. She currently works full time in downtown Mill Valley at RHAA Landscape Architects as a landscape designer. Outside of the office she can be found pouring concrete, making miniatures, woodworking, gardening, and of course, laser cutting. Chelsea teaches Laser Cutting at Tam Makers. Learn more about Chelsea on ChelseaMakes.com. Pierina told everyone when she was 5 years old that one day she would be a furniture maker. 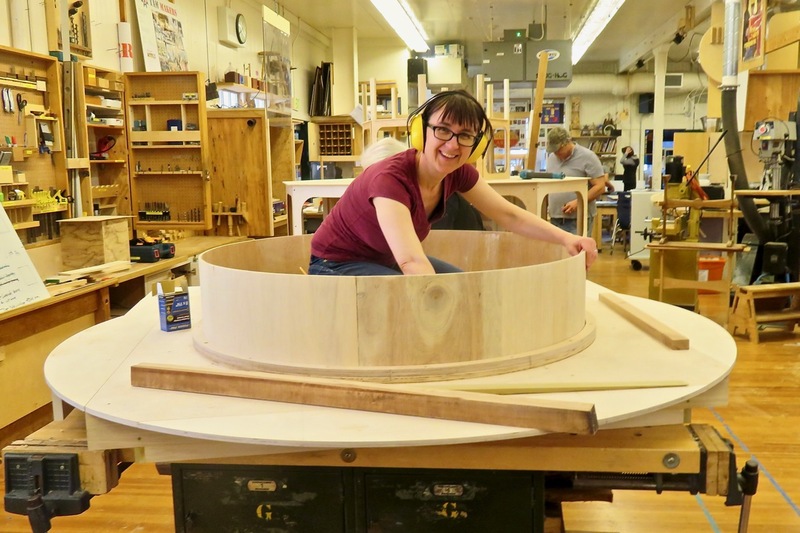 She has had an eclectic professional journey of woodworking, musician, social worker and Feldenkrais practitioner. 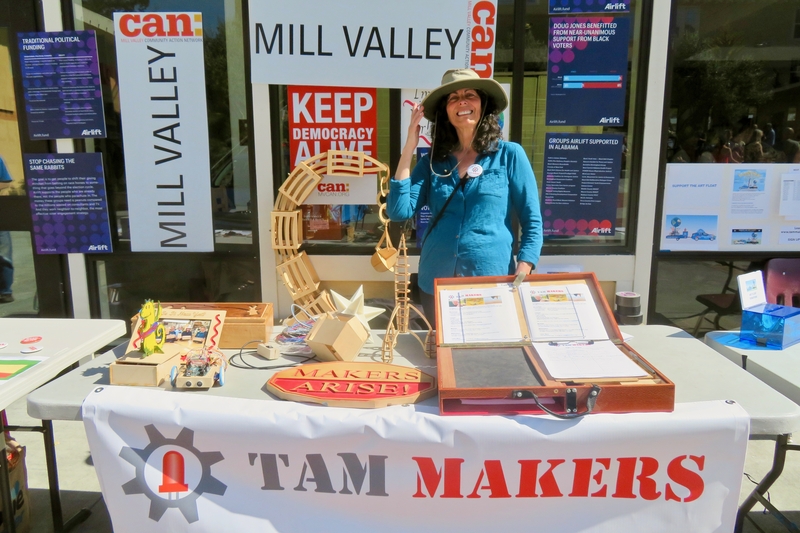 Pierina leads our You Can Build It workshops at Tam Makers. Learn more about Pierina at pianopedal.net . Chris is a creative director and an experienced maker. His background is user interface design and hardware prototyping. He studied at Principia College and at the Art Center College of Design. His interests range across mechanical design, electronic device prototyping, solar power systems, typography, mountain biking, sailboat racing and backpacking. Chris teaches CNC Router and Laser Cutting classes at Tam Makers and and has made many contributions to our makerspace since she joined us. He is also a regular at our weekly Maker Club. Learn more about Chris at Moddable.com. As a child, Meryl sometimes hoped for sick days when her mother would bring out a rainy day projects book and they would create things together. Since then, she has continued her love of crafts in her collages and greeting cards using paper, paint, fabric and sometimes even polymer clay. She has been consulting as a Certified QuickBooks® ProAdvisor for many years, smoothing away the pain of record keeping and financial reporting for small businesses and individuals. And she loves to crunch the numbers for Tam Makers. Niles is a student at Tam High with a passion for woodworking. He has been woodturning on the lathe for close to 8 years. 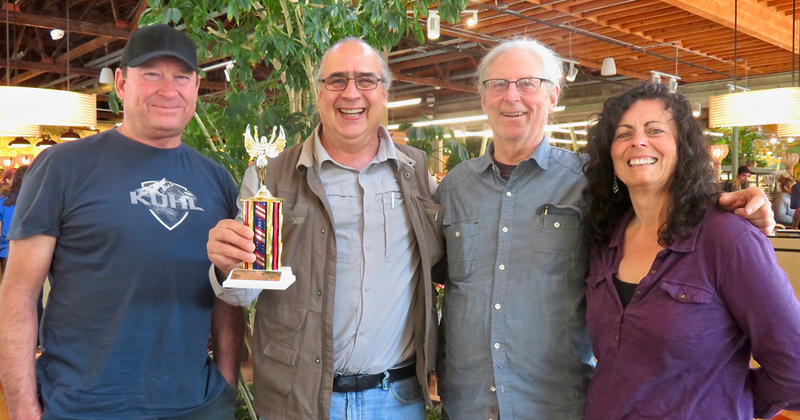 He began woodturning here at the Tam High Wood shop when he was just 9 years old. 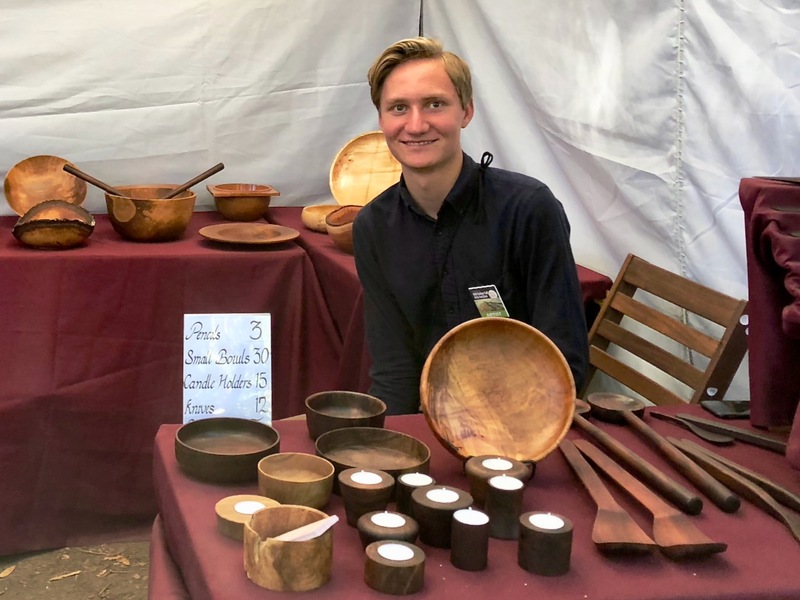 Niles makes wooden bowls, both sculptural and functional from local trees which he sells at local arts and crafts shows. Niles teaches Introduction to Wood Turning at Tam Makers, for those who would like to learn the craft and make a bowl of their own. We welcome new members! Come see us at our next meetup. In the meantime, we invite you to subscribe to our email updates. Feel free to email us if you have any comments or questions: info@tammakers.org .